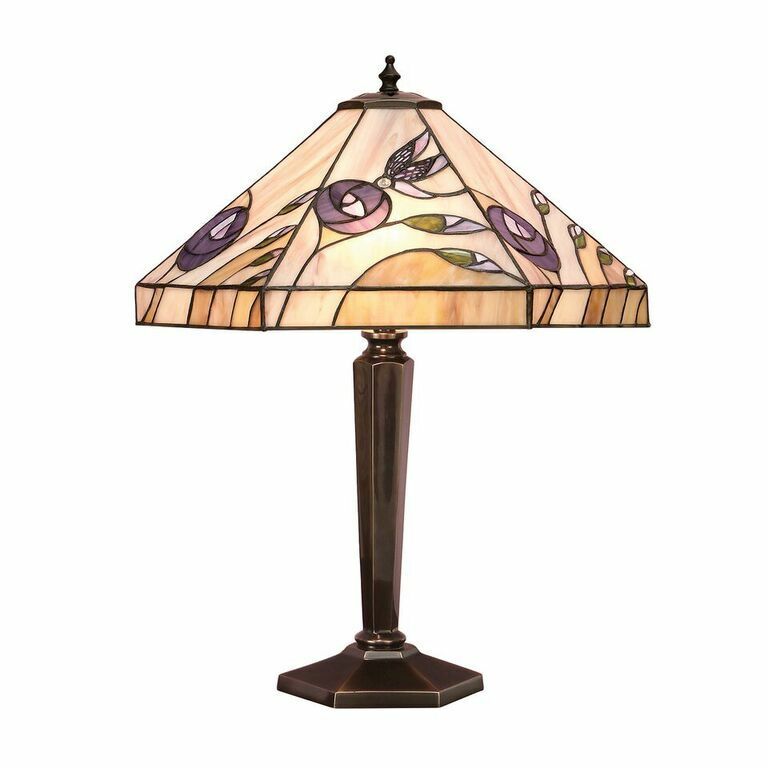 The Interiors 1900 Damselfly Tiffany Table Lamp depicts a pretty damselfly fluttering around Mackintosh inspired roses. The Damselfly Tiffany Table Lamp From Interiors 1900 Depicts A Pretty Damselfly Fluttering Around Mackintosh Inspired Roses. The Interiors 1900 Damselfly Table Lamp Has A Cast Brass Base In An Antique Finish.